Build houses and live in them; plant gardens and eat their produce. Take wives and have sons and daughters: take wives for your sons, and give your daughters in marriage, that they may bear sons and daughters; multiply there, and do not decrease. But seek the welfare of the city where I have sent you into exile, and pray to the LORD on its behalf, for in its welfare you will find your welfare. What is happening at 166 Buford Drive? In 2015, we planted New City Church within our city, by faith believing that God would expand his Kingdom here. We have considered Richards Middle School to be our home, and through God's faithful leading we have seen our influence and ability to impact our community grow with each new person who visits and decides to partner with us on this mission. We have now purchased property at 166 Buford Drive and hope to move in over the summer of 2019. Our city is striving to revitalize and better serve the diverse people within its bounds. We want to seek the welfare of the city by "replanting" ourselves, allowing our roots to sink even deeper. Our own welfare is inextricably entwined with that of this place where we have been called. It is our belief that as we build this more permanent home, we will flourish along with our neighbors as God continues the good work He has already begun. What is "For The City"? For The City is the generosity initiative of New City Church. In late 2018, we came together as a congregation (along with friends from other churches and in the community) to raise the funds necessary to purchase and renovate this property. For The City is a reference to one of our key values - to be in the city & for the city. 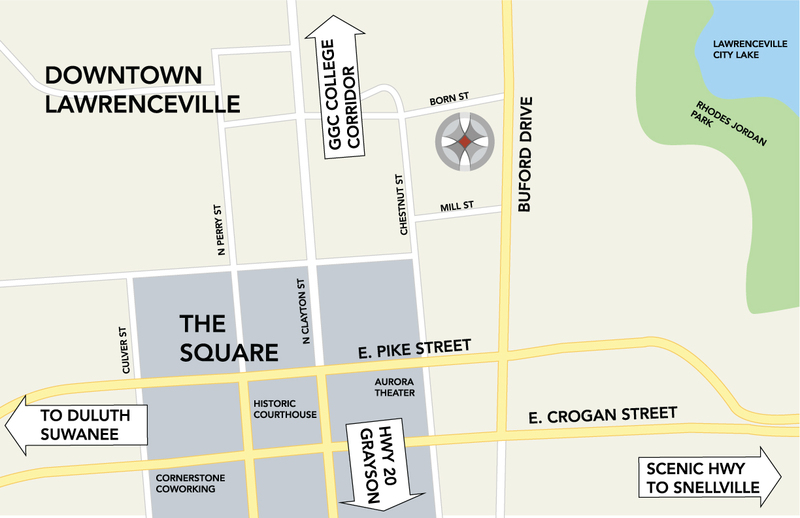 We are excited to be planting roots in the heart of Lawrenceville, in the heart of Gwinnett County. This initiative is ongoing. We need your generous commitment in order to accomplish our mission to make disciples who live in community and on mission. Please take the time to read through our case book and consider how God may be leading you to help. 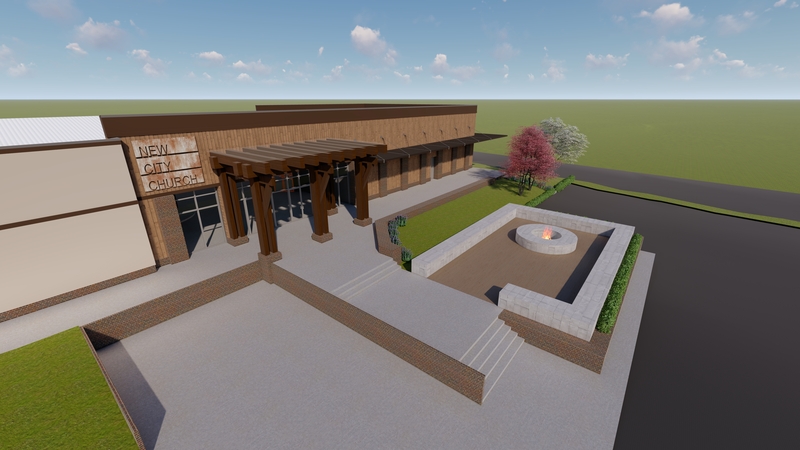 ... we will renovate a building to create a welcoming facility wherein we can worship together, connect in fellowship, and serve alongside one another.  This permanent space will have seating for more than 260 people in the main room. This will accomodate our Sunday Worship Gathering, as well as weddings, funerals, special events, and seminars. Several multi-use classrooms will be used for New City Kids on Sunday mornings. During the week, these rooms will be used by discipleship groups, New City U classes, and other activities. We plan to have a secure area for children to play outside on nice days. The front of the building will have areas for fellowship, rest, and reflection.  This phase will also include demolishing one building to provide more parking, and leasing out the third building until we are ready to build an expanded Worship Center. The exterior of the main building will receive a warm and inviting facade that will be visible from Buford Drive. New City Church will be a visible part of the historic Downtown Lawrenceville community for generations to come. This is an architect's rendering of a possible facade. Our financial priorities take shape from our spiritual priorities. If we desire to increase our giving, we must first set our hearts on things above. One way of doing this is to engage in stewardship of our lifestyle, instead of merely managing our money. Lifestyle Stewardship means finding ways to boldly and prayerfully allow our giving to affect our living. "I will not sacrifice to the Lord my God burnt offerings that cost me nothing." David understood that a gift that would touch the heart of God must first touch the heart of the giver. If it is for our God, our gift must have real value and meaning to us. Gifts to this generosity initiative should be over and above our current pattern of giving. Lifestyle Stewardship often means making a sacrifice in one area of life so we can give more of ourselves in another. With the help of the Holy Spirit, many Christians are amazed by what they are able to give "over and above" their usual giving to the church. Check out these seven helpful tips to get started with Lifestyle Stewardship. Rearranging our priorities may free us up to be more generous. An example would be postponing a major purchase such as a new car, a vacation, or a home remodel. If we find a short-term expense is coming to an end - such as a child finishing college, or the repayment of a loan - we could decide to simply continue paying that amount to the generosity initiative. Many of us receive regular salary increases or bonuses. We could temporarily give any increases toward the generosity initiative. Some of us have valuable items we have been holding onto or substantial savings we have been keeping for a particular purpose. We could make a gift from these excess resources. We sometimes receive unexpected income such as gifts, inheritance, or investment windfalls. We could commit to give anything that God unexpectedly provides. Appreciated assets, such as investment securities or real estate, can be transferred to the church and we (the donor) avoid paying capital gains taxes but receive a charitable deduction for the full market value. We should consult with a tax professional before committing to a sacrifice of this type. Some of us have extra time we could give to secure a temporary part-time job and then give our earnings to the generosity initiative.  Make a commitment to listen to all five of the For The City messages. Spend a few moments with God every day using the For The City devotional guide found within the case book. Consider your financial involvement in the future of New City Church; pray and listen to what God is saying, and then decide what you will contribute in response. This guide is for a quick calculation of our weekly, monthly, or annual giving. Giving does not have to be in equal increments over three years. Perhaps a greater amount will be possible in the later years of the initiative. 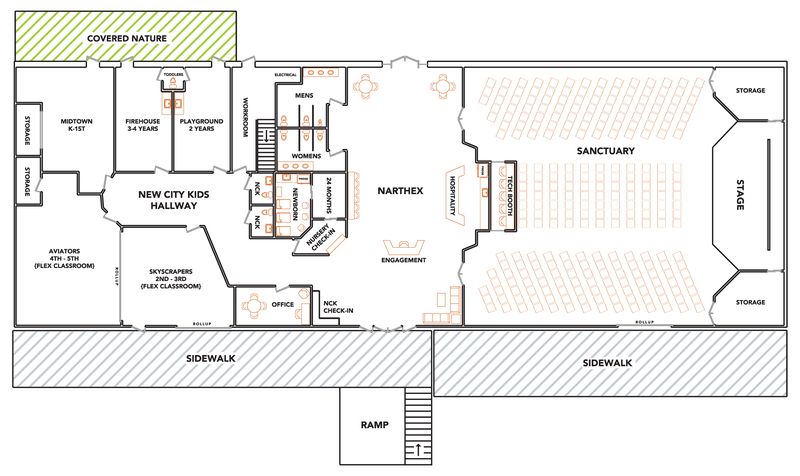 No matter how much you pledge to give, we ask you to commit to pray for New City Church. ▸ Why do we need property or a church building? New city church needs to purchase property so we can make room for the people whom God continues to bring to our church. Having our own facility will also bring much-needed relief to those faithful volunteers who arrive early and stay late to set-up and tear down every Sunday. With our own facility we will be able to access the building more than one day a week, which will greatly increase our ability to expand ministry and impact our community with the Gospel. ▸ What is the goal of this phase of the Initiative? Our goal is to raise $700,000 which will be used to pay for the renovations needed to the main building of the property at 166 Buford Dr. in Lawrenceville. This will include building a multipurpose auditorium, a lobby for fellowship, and several secure classrooms for New City Kids. It will also involve installing an exterior façade to be in compliance with Lawrenceville's Downtown Development Authority. ▸ Do we own the property at 166 Buford Drive? We finalized the purchase of the property at 166 Buford Drive in November of 2018. Friends of New City purchased the third building on the property and are holding it in trust for us for the next four years. ▸ Is God in this project? If God is not in it, we want no part of it! We believe that God led us to this particular property, at this particular time. The elders prayed diligently for months, and saw God move time and time again to see us overcome obstacles along the way. ▸ Should I stop tithing and give to this initiative instead? New City Church relies upon your regular giving for our operating budget which pays for staff, the facility, and ministry expenses. In order to pay for this project, your For The City gift should be over and above your regular giving. ▸ Will there be enough parking? The parking lot at 166 Buford Dr. is enough for our current needs. As we continue to grow, we will need to expand parking in Phase 2 of this initiative. There is ample parking at adjacent businesses that do not operate on Sunday mornings, and a large city owned lot is only a short walk away. ▸ How did we find this property? We had been looking for a more permanent church home for the past three years with no real success -and then God brought us an opportunity! Two City of Lawrenceville council members came to Pastor Ryan independently to urge him to consider this property as our permanent home. That the City would consider a church as a part of its revitalization efforts is a praise-worthy happening by itself. That they sought us out, despite the fact that we are a young church, is a huge affirmation of the work that God has been doing through New City Church in our community! ▸ Who is making the decisions about this project? The Session (our team of elders including Pastor Ryan) is responsible for providing oversight of this purchase and renovation project. We have established a Building Committee which is being led by John Veldsema. ▸ When do we move in? Demolition is already underway. Before we can begin construction, we have to work with the Downtown Development Authority to approve our design. At this time we are estimating that we will be able to move-in to the building in the early fall. ▸ How do I know how much I should give to this initiative? This is a decision that requires both prayer and careful consideration. As a church, we have discussed and studied generosity and how we can all be used in the process of seeing the Kingdom grow through New City Church's vision. We recommend that over a few days (or weeks) you pray and ask God to lead you in this decision as you boldly consider your role and your gift. In addition to your financial support and prayer coverage, there will be occasional opportunities for us to help with demolition and construction. Complete the Volunteer Form to let us know your skills and availability.